The Samsung Galaxy S10 series is officially launched in Malaysia and the latest trio will be available on sale starting next Friday, 8th March 2019. 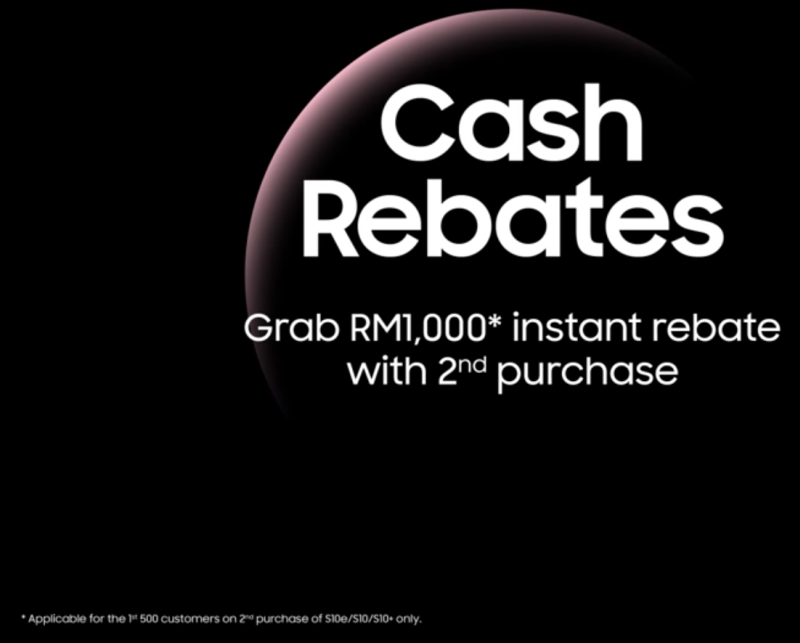 Samsung Malaysia is organising roadshows across three locations and they are also offering an instant rebate of RM1,000 if you purchase a second unit. 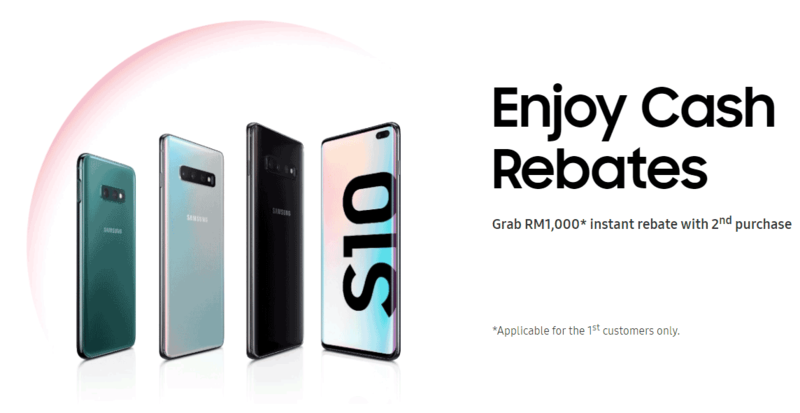 At the roadshows, Samsung is offering freebies worth up to RM1,079 depending on which Galaxy S10 model you’re getting. If you’re getting two units, the first 500 customers can get RM1,000 off from the recommended retail price of the second unit. This is applicable to the Galaxy S10e (128GB), Galaxy S10 (128GB) and Galaxy S10+ (128GB or 512GB). According to their T&C, the devices must be purchased on the same day and on a single receipt from their Samsung Experience Store or Mass Merchant counter. 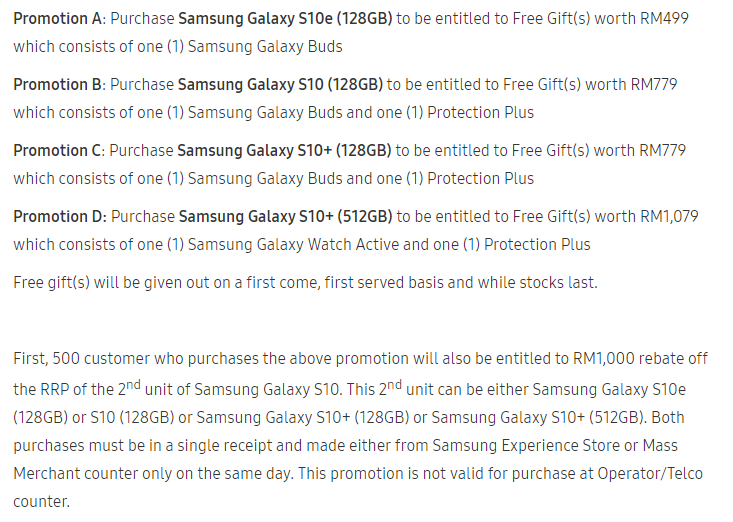 The T&C also states that the rebate offer is not valid if you’re getting the Galaxy S10 from a telco. It’s worth pointing out that on Samsung’s roadshow page, it is written “Applicable for the 1st customers only”. This appears to be a typo since the promo video and terms and conditions page have mentioned 1st 500 customers. For more info, you can check out the Galaxy S10 Roadshow page on Samsung Malaysia.